Certain individuals and their work, when discovered for the first time, appear to be familiar, as in I think I’ve seen this before. One has this feeling looking at a lot of art and writing that came out of the 1960s, and Sister Corita Kent’s work is no exception: it features bright “psychedelic” colors, images of war, messages of protest, and cut and pasted texts mixed with advertising slogans to form statements about social issues. We ascribe this sense of familiarity with a dismissive hand wave, without realizing that just because something appears to be “familiar” to us doesn’t mean that it wasn’t new, strange, and even revolutionary at some other point in time, and that it still might be so now if we are just able to look at it without preconceived ideas. It’s in this way that the past becomes a great teacher, but only to the student who really wants to study, learn, and see. 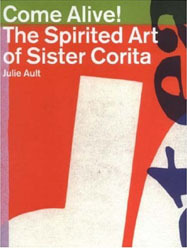 Sister Corita Kent, like all true visionaries, was certainly about seeing. In Baylis Glascock’s 1967 documentary We Have No Art, there is a scene in which Sister Corita tells her students that while watching films it is a good idea not to blink—that if one blinks one will miss something important. Later in the film, she leads an audience through a “happening” of her own design: people in the audience are asked to turn around and place crepe paper hats on the people sitting behind them. They are then asked to inflate a clear plastic glove and hold it to the other person’s ear like they are telling them a secret while simultaneously reading an E.E. Cummings poem to their new neighbor and setting off poppers with confetti streams shooting out over the heads of the audience. It is kind of a cliché 1960s moment, but then Sister Corita explains that each person in the scene is part of a larger whole; she was using the room and its occupants to paint a canvas whose totality only she was able to see from her vantage point at the podium. 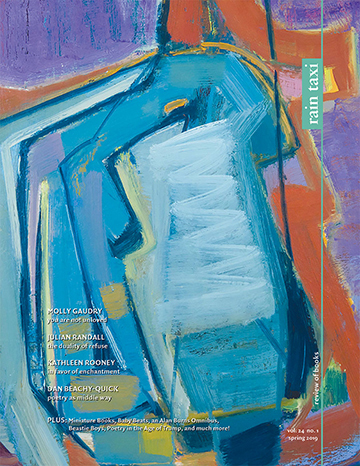 She describes the happenings that were part of the culture of the time as the breakdown between visual arts and theatre. 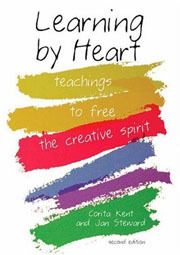 Sister Corita said Learning By Heart was “meant to be a workbook.” Divided into sections that explore the terms each chapter is named after and providing the reader with lessons and exercises to put those terms into action, Corita lays the groundwork for the reader to explore a variety of aspects of looking, sources, structure, making connections, tools and techniques, work and play, and what might have been Corita’s most important theme: celebration. Sister Corita said that the function of art is “to alert people to things they might have missed.” Her work, and these two books that capture the spirit and intent of her work, alert the reader to the existence of someone they might have missed until now, but whose lessons and words evoke a familiar and necessary presence.